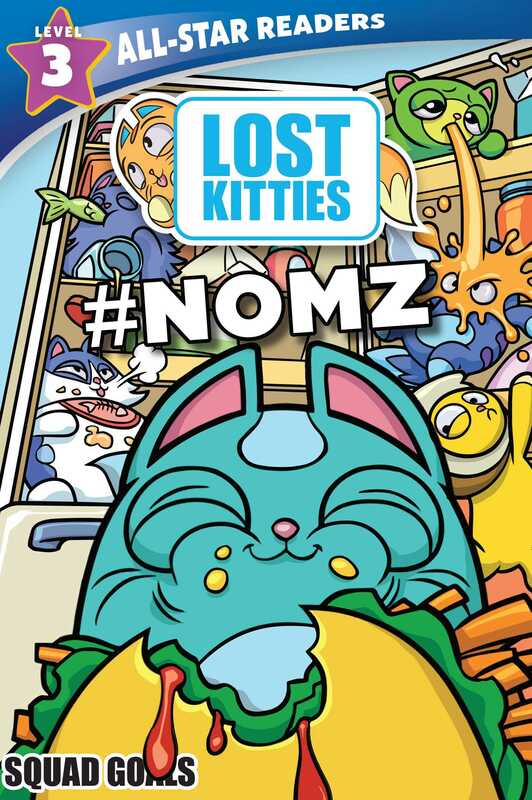 The #NOMZ squad is hungry for mischief in this fur-larious leveled reader! The #NOMZ squad is hungry for mischief! Chomp is testing out the hottest pepper in the world to spice up her spec-taco-lar hot sauce, Chunks is training for the Grand Hairball Hacking Competition, and Loafy’s at a loss when his toaster breaks! Purr along with this fur-larious squad and their snack-tastic antics in this leveled reader, perfect for Lost Kitties fans!